Today is a WWW Wednesday. A weekly meme originally started by Miz B but now hosted by Taking on a World of Words. Feel free to join in the fun and let the world know what you are reading. I’ve got two books I’m working on, one in print and the other on my kindle. In print, I’m reading Ready Player One by Earnest Cline. I Love this book. It’s so worth the hype. Maybe it’s because I was a kid in the 80s, so I get all the references. It dosesn’t matter. I love this book! It’s a quick easy read. On my kindle, I’m reading Florida Roadkill by Tim Dorsey. The cover is great. I’ve only read the first chapter but the profanity is a bit heavier than I like to read. I’ve recently bought 3 of his books used, so I hope I like this first book. What did I recently finish reading? 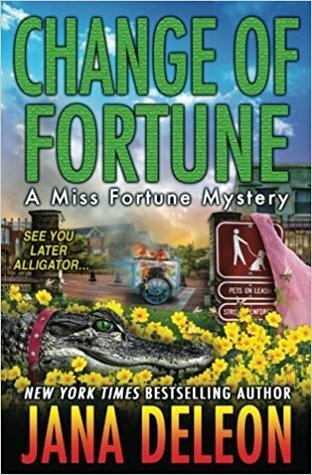 I just finished Change of Fortune by Jana Deleon, book 11 in the Miss Fortune series. Loved it. Sinful, Louisiana, is always a hotbed of activity, and despite the steamy heat, August is no exception. Godzilla is terrorizing the town, looking for a home-cooked meal, and Gertie is worried someone will take the gator out before she can get him under control. Francine has a situation of her own at the café, where food is missing from inventory. And Celia is always up to no good. But summer is almost over, which could mean huge changes for Fortune Redding. Her undercover time in Sinful has always been limited to three months, and that time is almost up. With Ahmad still on the loose, Fortune is forced to remain in hiding, but soon she’ll have to move to another town and start all over with a new identity. And that’s the last thing she wants to do. Determined to get her life back, Fortune decides to draw Ahmad out and end this once and for all. Can Fortune take down one of the most dangerous men in the world? And if she can, does she have a future in Sinful? 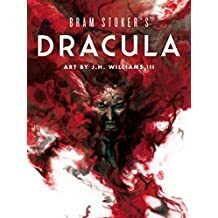 It’s time for Dracula by Bram Stocker. This could take a while and I want it read by August. Again, I bought this just because it moves. I still have plans to read this next. This entry was posted in online groups, Read and tagged www wednesday. Bookmark the permalink. I’m a 90’s kid but I still adore RPO with all my heart!